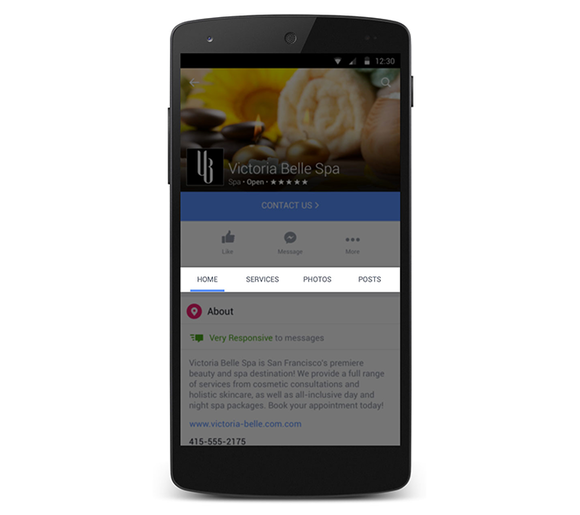 Facebook is making changes to its Pages service to attract more businesses, in part by giving them a new way to showcase their products. The company has revamped the way Pages appear on mobile devices, giving businesses more ways to interact with customers using smartphones and tablets. Among the changes, some businesses will be able to add a Shop section to their Facebook Page, potentially allowing people to buy goods directly. A Services section will let them list the services they have on offer. The new Pages layout will separate various content and services for businesses into different sections. The changes are designed to make it easier for users to see what businesses have to offer, and also to get in touch with them. Businesses will be able to place buttons that read "Contact Us," or "Send Message," directly under their profile photo. 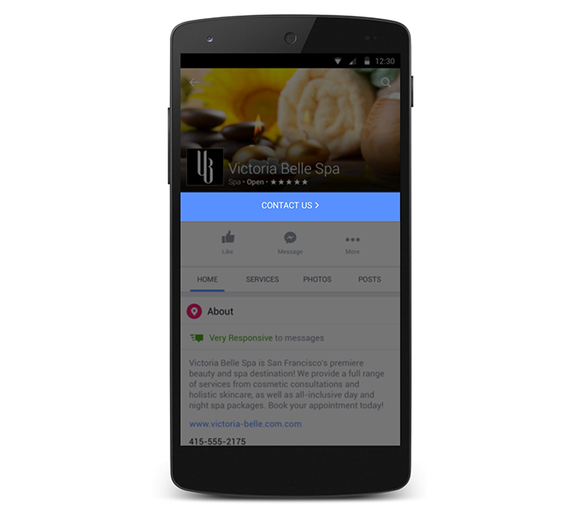 The new Pages layout will let businesses place a button to let users contact them directly under their profile photo. Facebook and a small group of partners have been testing a way to let users purchase items through Pages since at least July. The changes announced Tuesday mean more businesses will be able to let users click "buy" without leaving the social network. The participating businesses will use Shopify, an e-commerce platform, to sell their products through Facebook Pages. Rivals like Twitter, Google and Pinterest are also trying out new ways of their own to let users shop. The social network has had something of a rocky past with small businesses. Facebook's changing algorithms have sparked frustrations among some business partners, and some have complained of losing their ability to connect with customers. Still, there are 45 million businesses who actively manage Pages on Facebook, the company reported Tuesday. In July, during Facebook's quarterly earnings call, Chief Operating Officer Sheryl Sandberg said Facebook often looks for ways to turn businesses who operate free Pages into paying advertisers, by offering to charge them to promote their posts.